When people ask how my school holidays were, I say "I feel like I can breathe again". It has been a really hectic term, and a big adjustment going back to work. The kids have still being going to Child Care (for a shorter day) and I've been able to catch up on everything that needed to be done, and just BREATHE. Enjoy time on my own, a quiet house to myself, and getting reacquainted with the blog. On my first day the floors were vacuumed and mops, every dish washed and put away (not just left sitting in the dish rack) and every item of clothing washed, dried, folded and put away (which never happens all at the same time). I felt like I could breathe again. In my own home, I could breathe again. 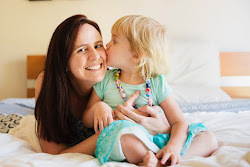 You may have read this article I wrote a while back, explaining why I still sent Miss M to child care last year when I was home with Little Man, and a lot of the same reasons apply now during the school holidays. I completely understand that it wouldn't be the choice that everyone would make, but for me, it saved my sanity. But, we have had awesome fun in the school holidays together as a family! There was so much fun stuff happening and so I wanted to do a quick wrap up to share what we did with you. You know how most things are closed on Good Friday? Well we just so happened to hear about Brickalaide and thought that it would be the perfect thing to do. Unfortunately the trains weren't running, so we had a packed lunch in the car and headed into the city. The Lego displays were quite impressive, and it became clear to me that there are some serious Lego enthusiasts out there! It was difficult for little ones to remember the "no touching" rule, but thankfully in another area there were several lego play tables where they got the chance to have some hands on time. We only have Duplo in our house, so Miss M enjoyed playing with the real stuff! Every Easter long weekend the Semaphore Kite Festival takes place. Semaphore is our favourite (and closest) beach so we go there all the time. It was a buzz of activity and there was lots to do, but the kids favourite part was just playing on the beach! The Wiggles concert was a last minute, unexpected activity as a friend of mine ended up with some extra tickets. I think I was more excited than Miss M to see them (don't get me wrong she was still excited too). I really loved the smaller venue, we were up so close to them! I wish I had of known that they come into the audience to collect pictures and presents from the children. All in all it was such an entertaining hour. They were just as amazing in person as they are on TV. So glad we had the chance to go! 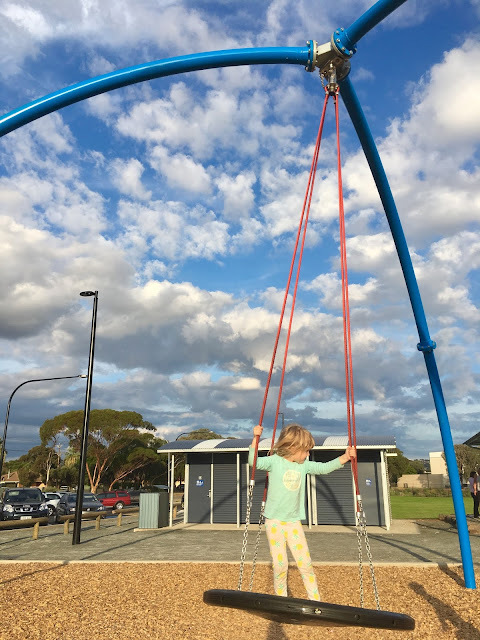 You may remember my post about the EPIC nature play event which takes place each school holidays here in Adelaide - Wild Imagination. We were kindly #gifted tickets to attend once again and had such a fantastic morning with potion making, clay creations, nature crafts, tyre swing and some mud play. We went to check out the new Bridgestone Reserve playground in Salisbury and it was pretty impressive (review just published over at Kids in Adelaide). I absolutely love live theatre, and we've been to some great shows in the past. I love when a show is based on a well known and loved children's book, so when I heard that We're Going on a Bear Hunt was coming to Adelaide I HAD to get tickets! It was soooo fun! Each element of the story was portrayed in a really clever way, the swishy grass was strips of material, the river was buckets of water, the actors got messy with brown paint for the mud, they created the forest with cardboard boxes and clever lighting effects and twirling ribbons represented the snowstorm. Highly recommended. And that's it for the holidays! I've got some school prep I need to do before next week when we get stuck into our Term 2 work. I hope enjoyed your school holidays too! It sounds like you jammed so much in!